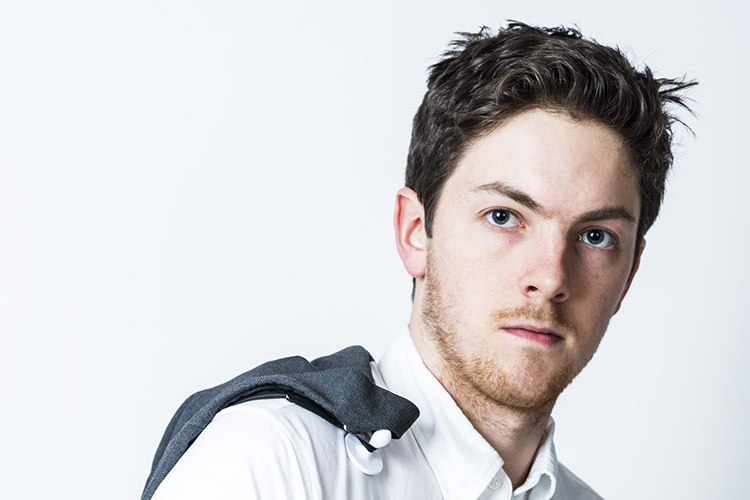 Getting their private data out in the open could be a netizen’s worst nightmare but for Oli Frost it was an opportunity to make some money. Frost recently listed his personal Facebook data for sale on eBay, after being stirred by the amount of your data companies sell to other companies. He thought he too could make some money out of it, while also passing a comment or two on the existing state of data control and privacy online. Frost was inspired to take the step following the waves of GDPR notifications and emails about changing privacy policies. He was struck by the epiphany that his personal data is being misused by these companies “for ages“, also sold in illegitimate ways such as in the case of the recent Cambridge Analytica scandal, and it made sense to sell it himself. 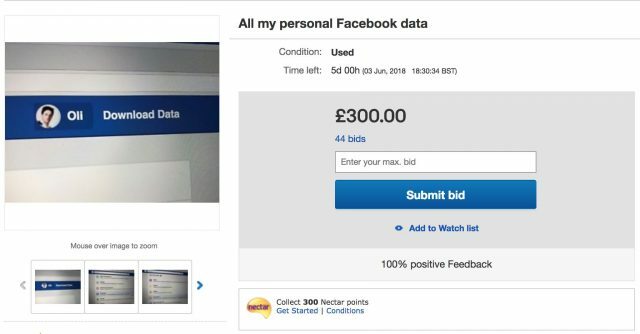 Frost downloaded all of his data using this quick tool on Facebook (you can use it too by clicking on “Download a copy”) and put it up for auction on eBay during the past weekend for £0.99 (~Rs. 90). This data included a complete dossier of Frost’s Facebook activity for the past ten years. The data comprised “every like, post, and inane comment” Frost had made since 2008, photos and videos of his teenage, pages and interests he followed. It also contained (the often overlooked) information about Frost’s family, close social circle, and his professional connections. It even had data about the friend requests he had received and ignored, invitations to parties, and yearly stats about birthday wishes received by him. But eBay’s timidity for sarcasm was shown by the fact that Frost’s listing was taken down. We got in touch with Frost on Twitter to quash speculation about him taking it down himself, and were not surprised to learn it was eBay that had taken his listing down. Frost was informed that selling data from social media was not permitted on eBay. A disappointed Frost told us he finds it “ironic as this is what happens everyday on a much bigger scale” by companies that churn out billions of dollars from the advertising mill. Frost’s posting received 44 bids with the highest bid of £300 (~Rs. 27,000). While Frost’s crusade to send his message across might have been halted by eBay, Frost is also offering his data to private buyers. He intends to donate the money to the Electronic Frontier Foundation, a not-for-profit organization working to raise awareness about privacy on the internet and rights of digital users.